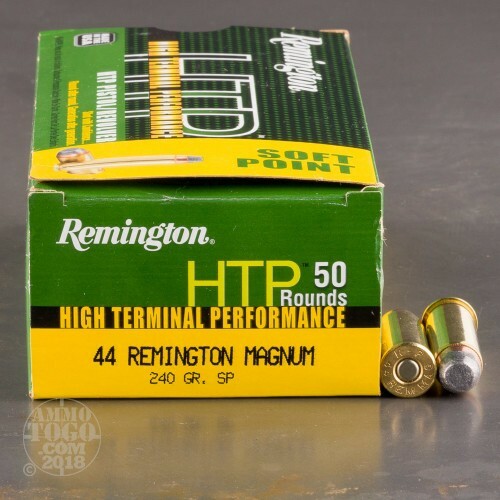 Load up your lever-action or wheel gun with these .44 Magnum rounds from Remington and stock the freezer in no time flat! 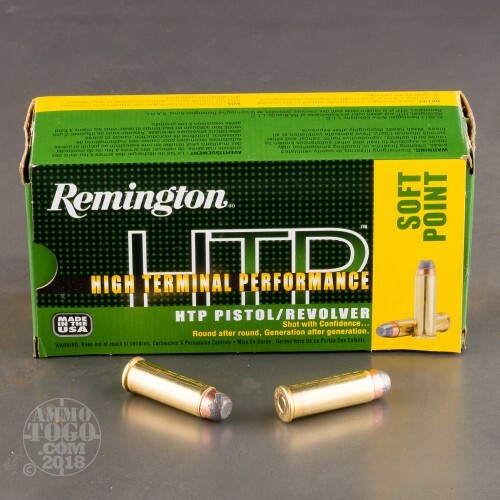 Remington "High Terminal Performance" handgun ammo is built using the high grade primers, powder, and brass casings and is especially designed to drop game and threats with ease. 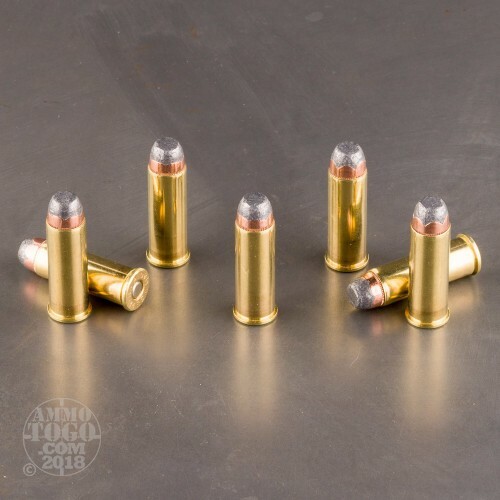 These cartridges are topped with 240 grain Soft Point projectiles which are partially jacketed up to an exposed lead tip. 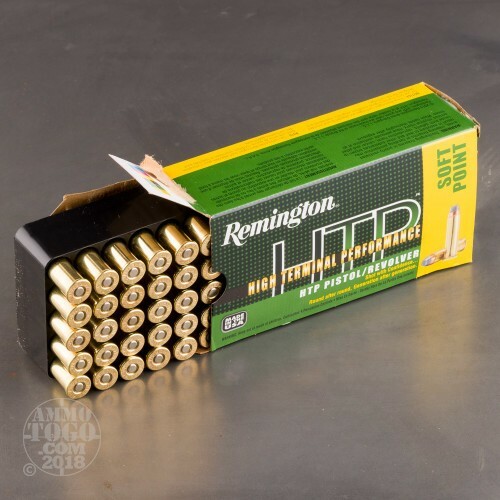 On impact, this exposed section mushrooms out with moderate expansion and a more significant focus on deep penetration; this ensures that the round defeats thick flesh and bone in order to reach vital organs. 240 grains is a light weight for the caliber with an emphasis on lighter recoil and show-stopping velocity.